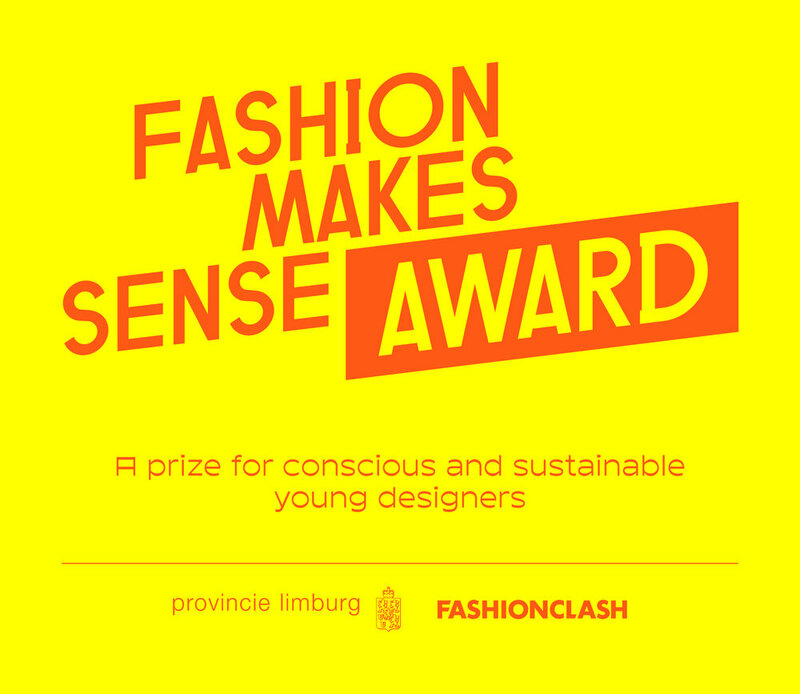 FASHIONCLASH presents, in collaboration with Province Limburg, the ‘Fashion Makes Sense Award’, a stimulation award for conscious young designers. The Fashion Makes Sense award is awarded during the Dutch Earth Week (October 2017) in Maastricht. Out of the finalists, a jury will choose the winner that’ll be rewarded with a money prize of €2.500. This prize will be used to produce a sustainable collection, which will be presented during FASHIONCLASH Festival 2018. In addition, an audience winner will be chosen, this winner will receive a cash prize of €500. Vote & Win Tickets The voting for the audience award prize will run online via facebook from the 4th until the 11th of October and offline voting from the 6th until the 12th of October at the Fashion Makes Sense Award Exhibition. By voting you can make chance to win tickets for the Award Ceremony + Talk. Fashion Makes Sense The 9th edition of FASHIONCLASH Festival was dedicated to the theme ‘Fashion Makes Sense’, in which the focus was on the senses and the sense making in relation to fashion. The theme shed light on sustainability in fashion, by giving a stage to initiatives and designers and creating a dialogue between the audience and the fashion industry. With ‘Fashion Makes Sense’ FASHIONCLASH wants to excite young designers, the fashion industry and the audience and create awareness about sustainability in fashion. Fashion is of upmost importance in the economy, society, art, and creativity and for each of us. But, it has a downside: the impact on the environment, the exploitation on workers and the influence on our self-esteem. What is the importance of fashion in our society and how can fashion contribute to a better world and welfare. FASHIONCLASH has the ambition to develop ‘Fashion Makes Sense to a returning part of the yearly FASHIONCLASH Festival and it is their aim to create awareness around this topic. With an annual prize, FASHIONCLASH wants to introduce the ‘Fashion Makes Sense’ jury award and the ‘Fashion Makes Sense audience award. A prize for a promising fashion talent, that’ll have a relevant and innovative idea on the awareness and innovation around sustainability. VOTE FOR THE SUSTAINABLE FUTURE OF FASHION. YOUR FOR YOUR FAVORITE DESIGNERS. Watch this video and discover their ideas for sustainable fashion.